Rules of the Jungle: How eagles soar? 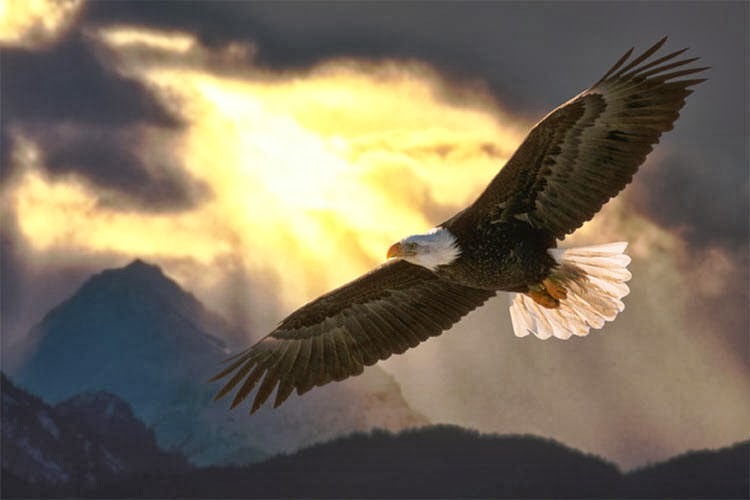 The eagles are the fastest flyers amongst birds, so they are able to soar very fast. They use soaring for fast attacks over various preys, their attack being effective almost every time, they can soar quietly, so this can be considered as one of their most effective weapons.